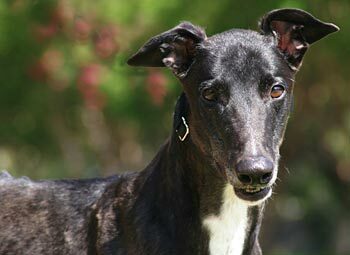 Michigan, aka Cry Michigan, is a stunning, 4-year-old black male born April 25, 2006. 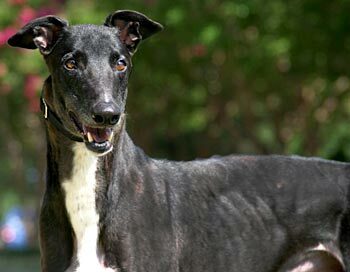 His sire is Gable Tabasco, making his grand-sire Gable Dodge, and his dam is Off the Bench. Michigan’s short-lived racing career was all of 4 races, starting April 11, 2008, at Wheeling Downs in West Virginia, and ending there on May 2, 2008. 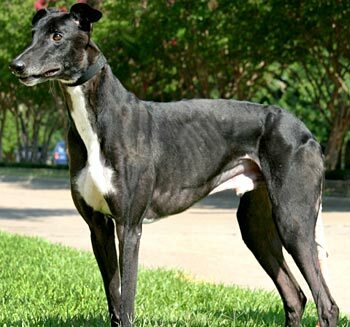 He is one big greyhound weighing in at 92 pounds – he should be called either Texas or Alaska! Michigan is not cat tolerant, and has not been tested with small animals at this time.